Tourists will temporarily be banned from the island of Komodo next year to prevent people from stealing its dragons. The Indonesian government announced the island will be closed to tourists from January 2020, and although the length of the temporary ban is yet to be confirmed, it’s thought it’ll last for at least a year. The decision was made at a meeting with the East Nusa Tenggara (NTT) provincial administration and the Ministry of Environment and Forestry on March 29. As reported by Tempo, NTT administration spokesman Marius Jelamu declared the ban will only be in place for Komodo, not other areas of conservation. He added the idea behind the closure is to allow the Komodo dragons to increase in population, while the government ensures the habitat, environment, and food stock are preserved for the vulnerable animals. The population of Komodo dragons has been in decline due to illegal hunting, the poaching of their prey, and habitat loss. Since they are found only in limited areas, Komodo dragons are extremely vulnerable to extinction due to human activity. Numbers have been reduced to a mere fraction of what they were – through habitat loss, loss of prey species, and hunting. There are approximately 6,000 Komodo dragons left in existence and only about 350 breeding females. They have recently become a major attraction for tourists, and hopefully this economic incentive will help to conserve this enigmatic species. They are listed as ‘vulnerable’ in the IUCN (World Conservation Union) Red List of Threatened Species. The WWF had hoped conservation efforts would have improved due to the dragons being tourist attractions, but it’s fair to argue it’s had the opposite effect. Last week for example, the East Java Police busted a criminal network they say were attempting to smuggle 41 Komodo dragons out of the country, intending to sell them on the black market for 500 million rupiah each (around £27,000). According to the Jakarta Post, five baby Komodo dragons were also rescued from the alleged smuggling ring which had illegally taken the animals away from their habitat. The criminals intended to ship the animals to three countries in Southeast Asia through Singapore. 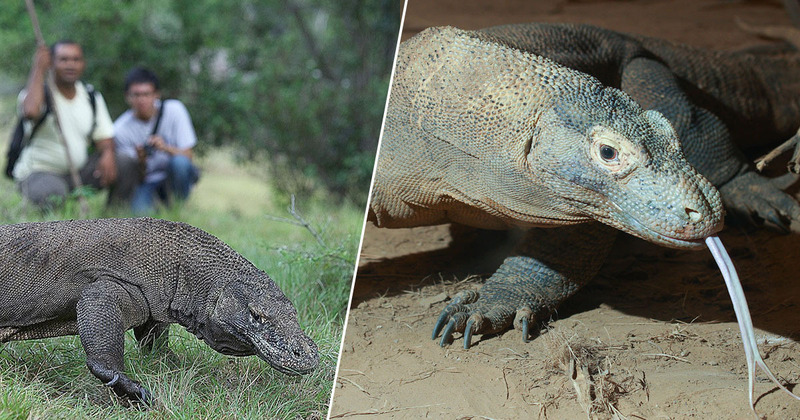 Each Komodo dragon is sold for Rp 500 million in the international black market. Let’s hope the ban, which is being enforced next year, will help combat the issue.